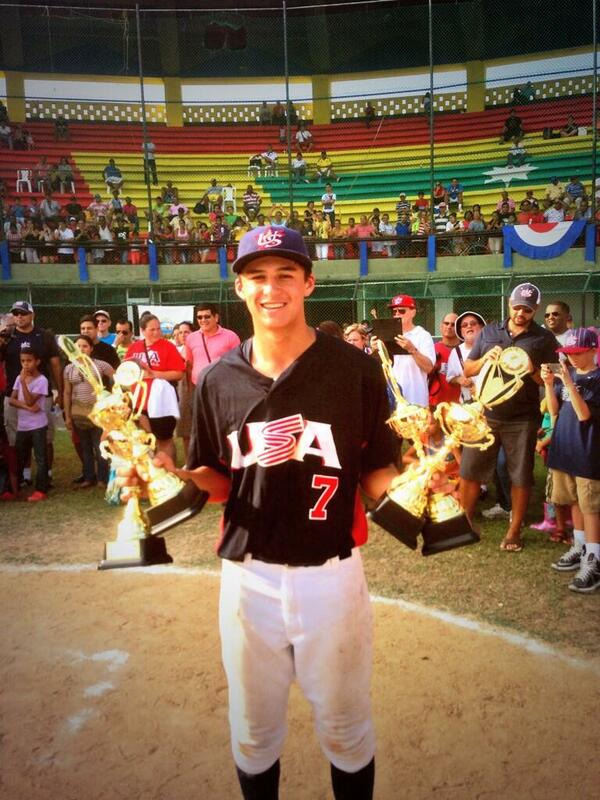 It has been a little over a month since sophomore Chase Strumpf of JSerra returned from Colombia with a gold medal after helping the USA 15U baseball team win the Pan American championships. It was another achievement for a young player who keeps raising expectations. Before he even played in his first high school game last season, he accepted a scholarship to UCLA. Then he became a starter for the Lions. And things keep getting better. Strumpf is ranked No. 3 in the nation among the class of ’16 prospects by Perfect Game. He’s appeared in Sports Illustrated’s Faces in the Crowd after hitting five home runs in eight games in Colombia to earn tournament MVP honors. Strumpf has already made a big jump from freshman to sophomore year based on his summer. He’s stronger and has more power. He got to see Trinity League pitching as a freshman. It’s a little scary to think what he’ll look like by his senior year.